MSE Creative Consulting Blog: "I Enjoyed It Much, Much More Than I Expected!!" Just sold two autographed copies of Warnings yesterday to a reader who had borrowed a copy from a friend, really liked it, and wanted to read the rest. The second copy was for another friend. Can't tell you the number of times I have heard the "more than I expected" comment since the book was published. I guess people expect a deep 'science' book. 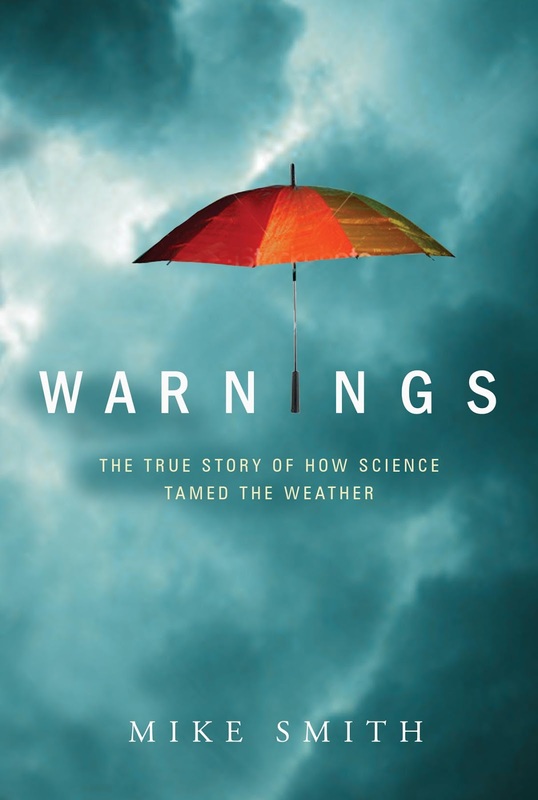 Warnings, while about weather science, is very much a "people" book -- the story of how heroic (yes, that is the right word) scientists save lives in tornadoes, the world of airlines, and hurricanes. Wonder how the hurricane warnings for Matthew are being created? This is the book that answers that question and so very much more. It has a 5-Star review from Amazon's readers and all of the professional critics have loved it. So, if want to know how we do what we do during this busy week or if you are looking for a great book as a holiday gift, please consider Warnings.